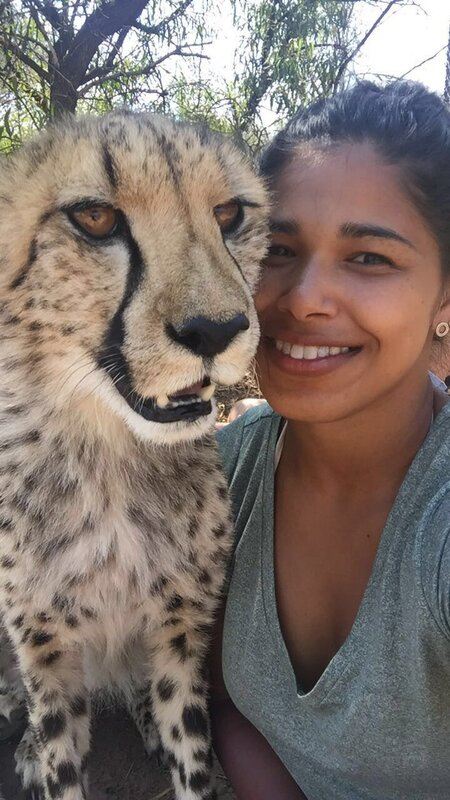 Get up close and personal with cheetahs and wild dogs, providing a helping hand at this vital and ethical conservation program. African big cats, particularly cheetahs, are endangered through rapid loss of habitat, decreasing prey numbers, limited gene pools and disease. Their long term survival depends on registered programs such as this. You’ll join a team dedicated to caring for big cats - especially cheetahs - you’ll help with daily feeding and care tasks, get involved with important research and outreach and experience an exclusive behind the scenes view of a wonderful wildlife conservation initiative. This is a very special opportunity for all animal lovers – you’ll learn heaps about African wildlife and the challenges faced by those passionate about its future. Each night you’ll fall asleep to the humming of the bush and wake up to the chorus of an African dawn – unique experiences that will stay with you forever. You will also love the abundant wildlife and birds – with hippo, giraffes, zebra, ostrich and a large range of antelope and bucks. Duration : From 1-12 weeks. 3 weeks is good, 6 or more is awesome ! Experience the raw power of the world’s fastest mammal ! !